The biggest event in the handmade designer-maker’s Spring calendar has to be the British Craft Trade Fair. What is it? The BTCF is a trade fair and a brilliant opportunity for designer-makers to showcase their new designs and meet potential buyers from galleries and boutiques, jewellery shops and garden centres. Every designer is British and there is a happy mix of newcomers and returning exhibitors for those important buyers to select from. Why should you go? If you are an emerging designer then attending the BTCF will help you to decide whether your product is ready for the retail market. 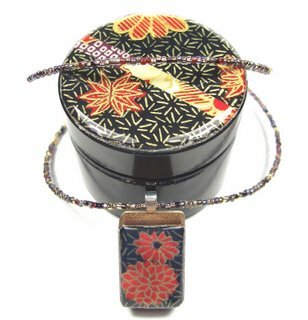 You will be able to see how others display their work and enjoy the buzz of a trade fair. You will also get a good understanding of how a trade fair works before you commit yourself to next year’s event. What you shouldn’t do. The designers cannot sell their work direct to the public at the BTCF so please don’t ask them. 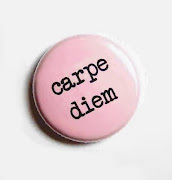 The designers are a friendly bunch and are generally happy to give you advice about showing your work but please don’t take up their time if there are buyers present. 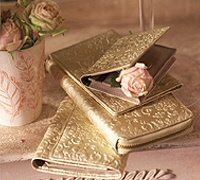 Oh, and don’t help yourself to their precious marketing leaflets and brochures, these are for potential buyers. Although the public cannot buy directly from the designer at the BTCF it is a wonderful chance for British designers to make those all-important contacts with galleries and shops, sell their work by consignment and pick up repeat orders. It’s also a fabulous way for buyers to find out what the latest trends in handmade are and a way to keep their customers buying British. and pick up a bargain. We have over 500 second hand art and craft books for sale and we will be at Leeds Book Fair on Sunday 27 March from 9.30am to 4pm. Our prices range from 50p to £6 with titles on art theory, art history, artists, photography, glass, pottery, printmaking and furniture. 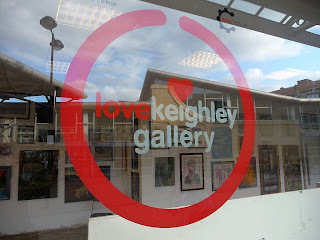 The "Love Keighley" Gallery was an empty shop project devised by the Arts Factory working in partnership with The Keighley Town Centre Association. 14.7% of the retail units in the UK are lying empty and Keighley is no exception. 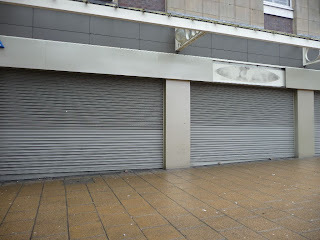 Stepping out of the bus station, visitors are immediately faced with a row of empty shops and feel they could be in any town. The pop up gallery tapped into the Love Keighley initiative with the window vinyls, posters and publicity mirroring the branding. The Airedale Shopping Centre's offer of an empty shop made the ideal gallery for the annual Open Art exhibition. Setting up a pop up gallery entails a lot of hard work, planning and can sometimes be frustrating. It was freezing, particularly when it snowed (!) and there was no water so no toilet or cups of tea. 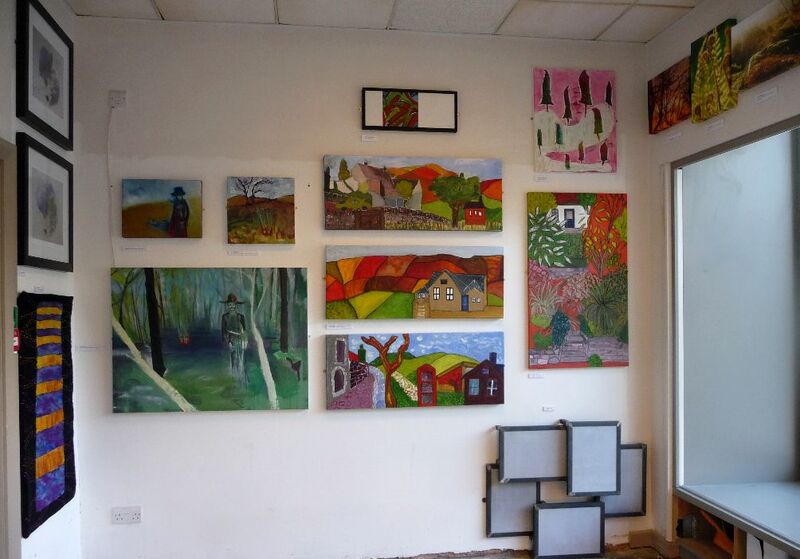 But it was extremely effective for marketing the Arts Factory and raising awareness of what the gallery does. Visitors ranged from pensioners to unemployed teenagers, artists to shoppers and everyone had a favourite picture. 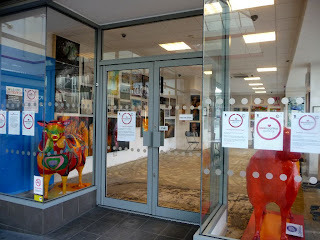 The gallery was alive with colour and displaying the sheep from the Shorn Keighley Project drew the public to the windows. Displaying the art brought its own problems - I panicked that we would have too much work and not enough wall space. 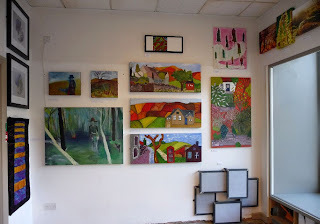 Luckily, this was not the case because we hung the show to look more like the Royal Academy Summer Exhibition with less white wall space than we are used to. A total of 40 Yorkshire artists displayed 93 pieces of work between them, ranging from traditional to contemporary, textiles to photographs. 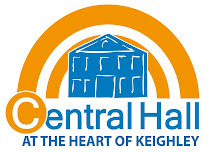 Visitors came from Hull, Sheffield, York and Leeds but mostly Keighley and Bradford. The gallery was open six days a week for three weeks and 16 volunteers covered 32 of the total 76 hours that we were open. Would I do it again? I can't wait! If you would like to find out how to set up a pop up gallery please contact Artists in Business and we will send you a free PDF instruction leaflet.